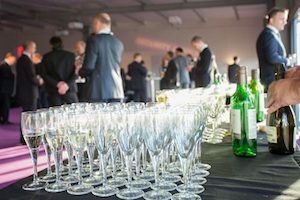 We are pleased to announce that for the first time we will be hosting the International Delegations at the Security & Policing Drinks Reception. Held on the first evening, the Rt Hon Liam Fox MP, Secretary of State for International Trade, President of the Board of Trade will also be in attendance. The reception is exclusively for exhibitors and provides a perfect and unique opportunity to network with representatives from the Home Office, Department for International Trade Defence and Security Organisation (DIT DSO) and industry colleagues. Join us from 16.30 until 18.00 on Tuesday 5 March where wine, beer and soft drinks will be served. The event will take place on the first floor of the venue, overlooking the TAG runway. Each exhibiting company will be allocated ONE FREE PASS with additional passes available at a subsidised rate. If you are booked to exhibit at Security & Policing 2019 we do hope you will join us.